My husband and I decided sometime last year that we wanted to cut out meat as much as possible and focus on eating a more veggie based diet. I call myself a "mostly vegetarian" or a "flexitarian" because we still eat the occasional ham sandwich or chicken tender. But, for the most part, I don't cook actual meat at home and try to stick with vegetarian meal options. We do still eat dairy, but I try to buy it from companies that emphasize quality of life for their animals (read: more expensive, but ethically responsible). 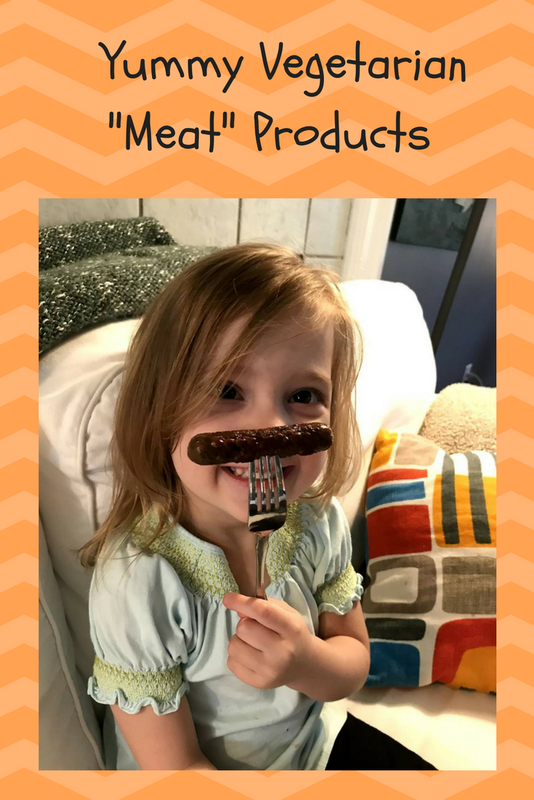 In our meatless life quest, I have experienced some things...some things I really don't care to experience again...and some things that were surprisingly delicious. I wanted to share some of my good experiences with you to save you some guesswork incase you are also trying to live meat free. Pretty much any product by Gardein. (Not a sponsored post btw). 1. 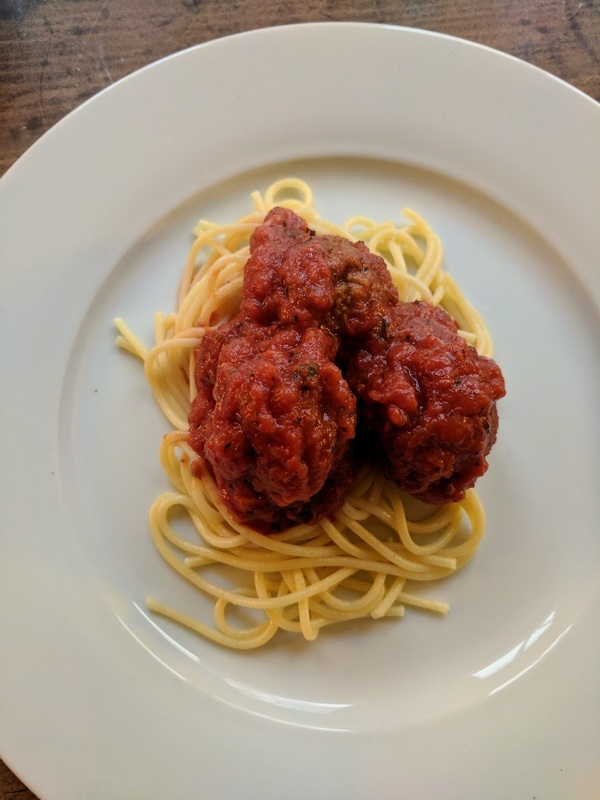 Gardein Meatless Meatballs. These are probably my favorite product. I've made delicious meatball marinara subs and spaghetti and meatballs with these. An easy way to incorporate meatless options into your classic dishes. 2. Gardein Beefless Ground. The easy ground beef replacement for tacos, spaghetti, chili - you name it. This product does dry out so it is best used in a sauce. 3 & 4. 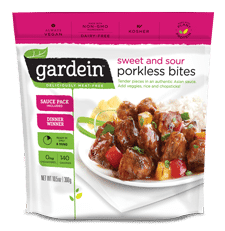 Gardein Sweet & Sour Porkless Bites and Mandarin Orange Crispy Chick'n. For your Asian inspired dishes. Both come with a sauce pack. Serve with some jasmine rice for an easy dinner or get fancy and make a stir fry or try making your own sauce. 5. 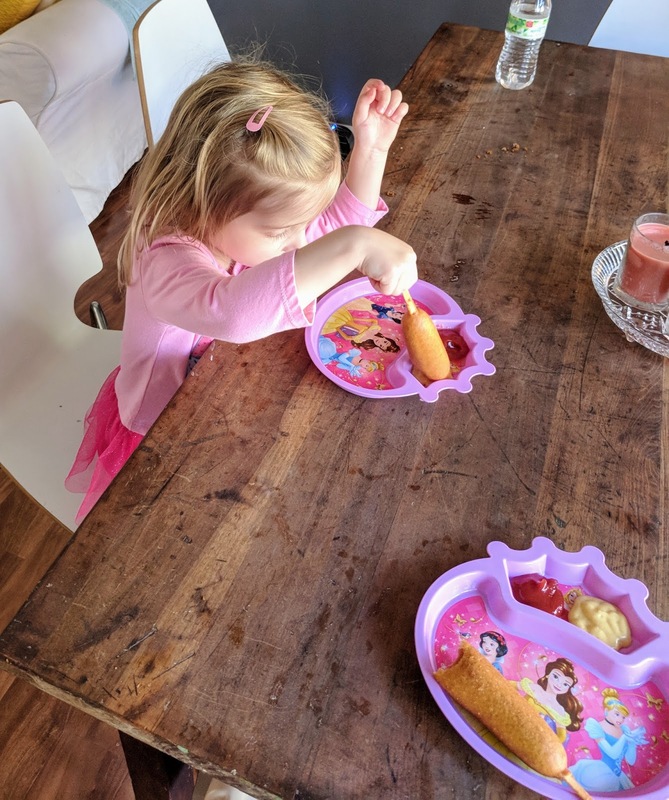 Morningstar Farms Veggie Corndogs. I know, I know...what in the world. But I can tell you, these are actually hard to tell the difference from the real thing. And, don't tell anyone, but they are actually not bad for you either. My picky eater loves them. 6. 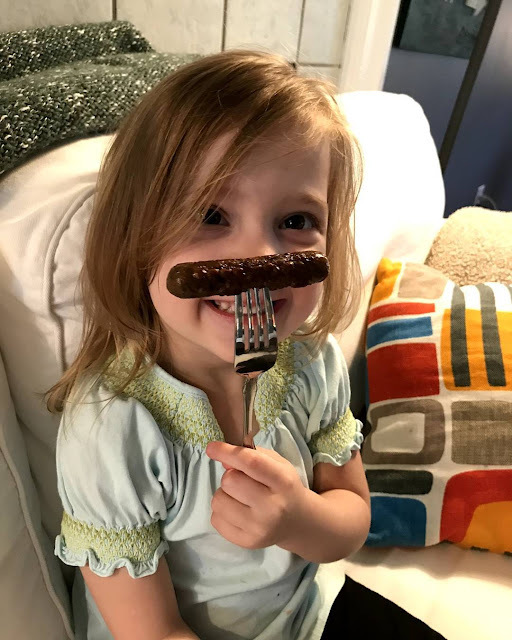 Morningstar Farms Veggie Breakfast Sausage Links. Again, my picky eater loves them. 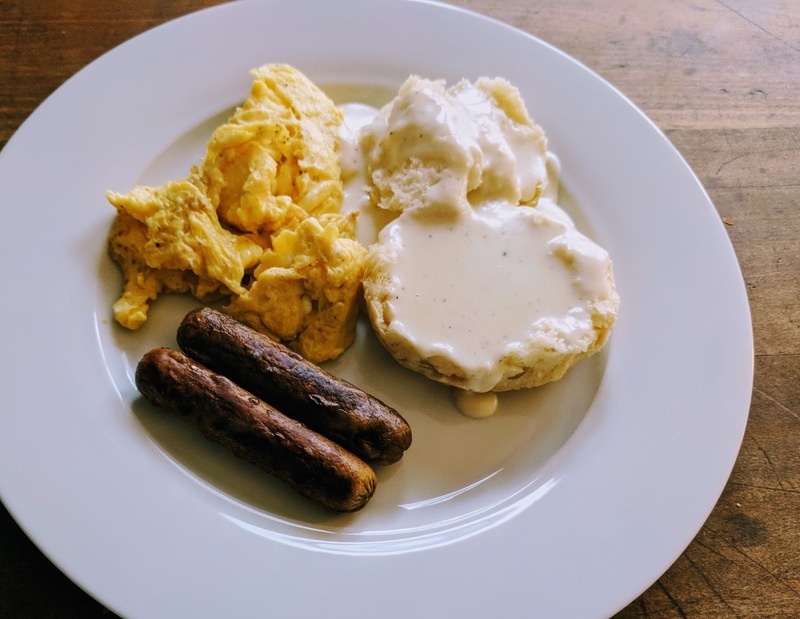 I made biscuits and gravy this weekend and cooked some of these veggie sausages and they were a delicious addition. 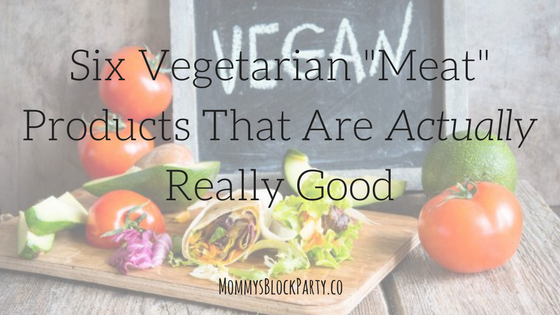 Hopefully these options will make your transition into eating more veggies more appealing - or just give you some new options for your Meatless Monday dishes. I've linked some of these products to our MBP Amazon Store, so check them out. You can also probably find them in the frozen food section at your local grocery store. Enjoy!